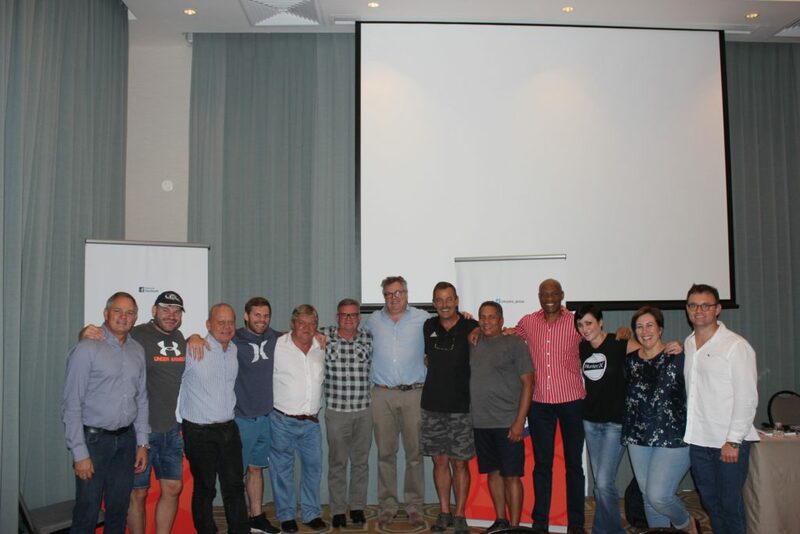 Trustco Group Holdings’ board of directors and top executives, of the various segments of the group, attended the two day group strategic session as well as the annual board training session with Mr Richard Chetwode on Friday, 9 March 2018, at the Swakopmund Strand Hotel. Mr Chetwode is a diamond industry expert with comprehensive knowledge of both the diamond and financial sectors, where he has built valuable relationships over many years. He is a recognised diamond professional with knowledge spanning mining, sales, cutting and polishing, diamond finance, wholesale, retail and the diamond consumer industry. TRUSTCO Group Holdings will continue to focus on identifying and aggressively pursuing growth opportunities in strategic sectors in Namibia and on the African continent, in order to pursue its mission of increasing value and wealth for its shareholders and perfecting the best corporate governance practices in the coming year, after having successfully weathered the international and Namibian economic slowdown of the past two years. The board and executive group complimented the Strand Hotel facilities and services that provided an enabling environment where major decisions, impacting on the future and sustained prosperity of the group, and Namibia, could be incubated.